Block 26, Welcoming Friends, has been designed by Kimberly Jolly from the Fat Quarter Shop. They also have a fabulous 50% off Super Deal for you to enjoy too. 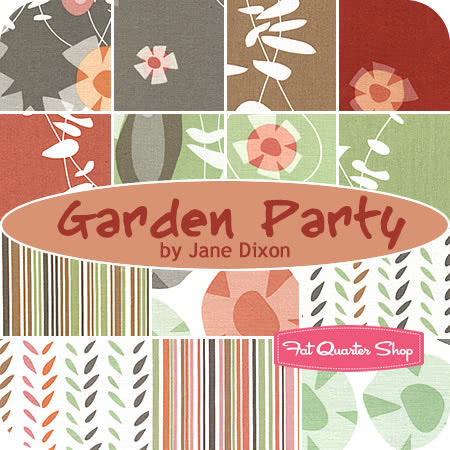 50% OFF Garden Party by Jane Dixon for Andover Fabrics. Enter code GPARTY at checkout. Expires Tuesday, November 15th @ midnight CST. 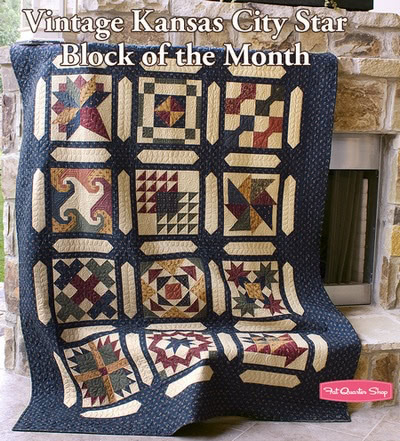 My favorite quilts have sampler blocks or star blocks! I love traditional fabrics and children/novelty fabrics. I also like a mixture of traditional and contemporary projects; there are places for both in my home! I started out crocheting when I was five and learned to cross stitch as I got older. I was introduced to quilting in my early twenties. I’m a very creative person with a million ideas bouncing around in my head, so my designs flow out of that. I took a quilting class and was immediately hooked. Back then, I felt like there was a great need for a quilting store that had a wide selection and attentive service, and Fat Quarter Shop was born. Soon after, I started to feel the need to design great patterns. 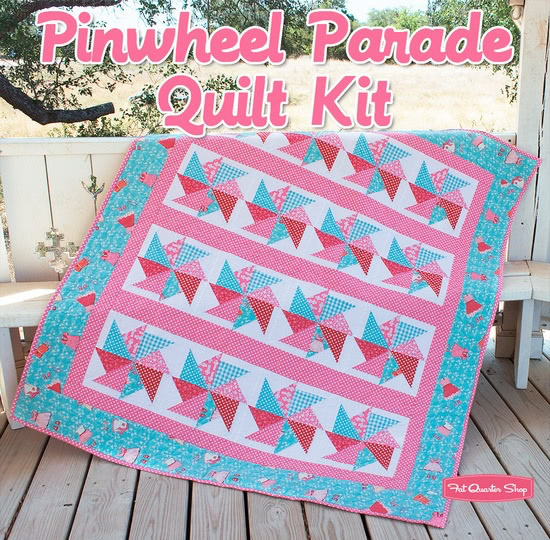 Well it’s a tie between a Bliss quilt I made for Emma and the Children at Play Pinwheel quilt – I just love love them both! Do you notice all of the pink? Favourite colour: Pink- especially when Emma looks so cute in pink! 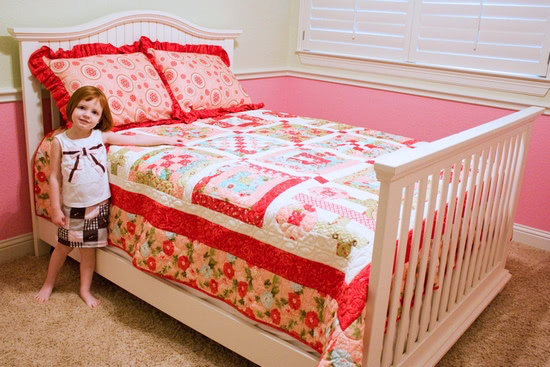 What part of the quilting process do you like the most? I love cutting! Favourite super hero or comic book character: I don’t know anything about those. I like Fancy Nancy though! Most exciting place you’ve travelled: Las Vegas – I love it there. Favourite quote or mantra: "I have an idea!" Here’s Kimberly’s Welcoming Friends block. Head over to the Jolly Jabber blog to download the tutorial. Upload your completed blocks to our Flickr group for a chance to win some adorable buttons from Button Mad – Incomparable Buttons. 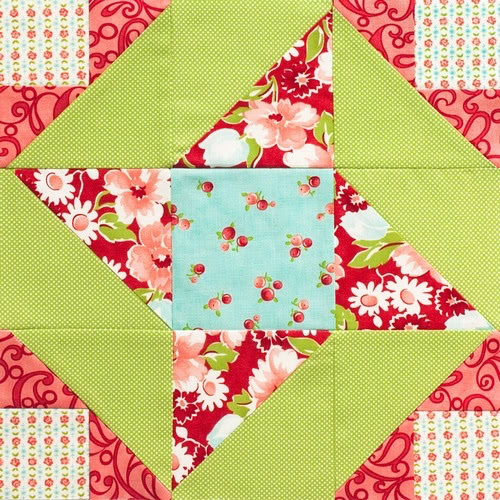 One winner for each of our quilt-along blocks will be randomly chosen. You have two weeks to complete Kimberly’s Welcoming Friends block to be eligible to win. Hat’s off to Welcoming Friends blocks! 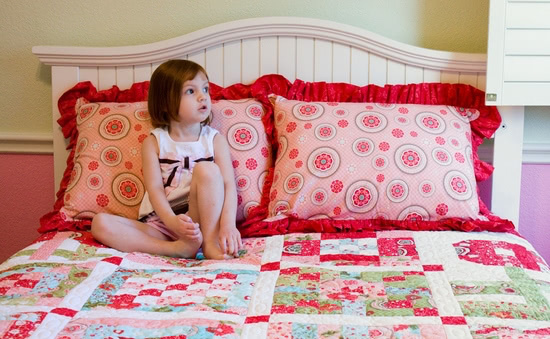 I adore them and the quilt is gorgeous! Thanks so much for the pattern and tutorial! Score another winner for you Kimberly! What a beautiful block, thanks for sharing! I love your blog! The quilts look amazing. Thanks for the tutorial!